Demo Ski Package - the latest and greatest available in ski equipment for the '17-'18 season. Varied shapes, sizes, and colors to please the most advanced skiers and make a novice look like a pro. A full-day rental, plus time to relax and return the gear. Twenty-five demos in 11 brands. The Demo Ski Package includes skis, bindings, boots and poles. Brands include Atomic, Volkl, Salomon, Line, Head, Armada, Blizzard, Burton, K2, GNU, and 4FRNT. Our demos include the latest and greatest available in ski equipment for the '17-'18 season. Varied shapes, sizes, and colors to please the most advanced skiers and make a novice look like a pro. 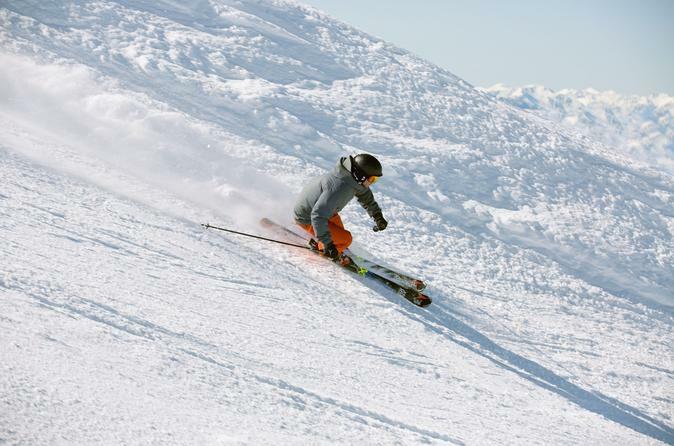 You are permitted to pick up your skis the night before you ski, after 4pm, so you can enjoy a full day on the slopes. You have until 10:00 am the day after your final ski day to return the gear. You may pick up where reserved and drop off at any of our shops with no transfer fee. Leave some extra time for processing at a different shop. © 2019 Hello SaltLakeCity - All Rights Reserved.